Classic beauty! 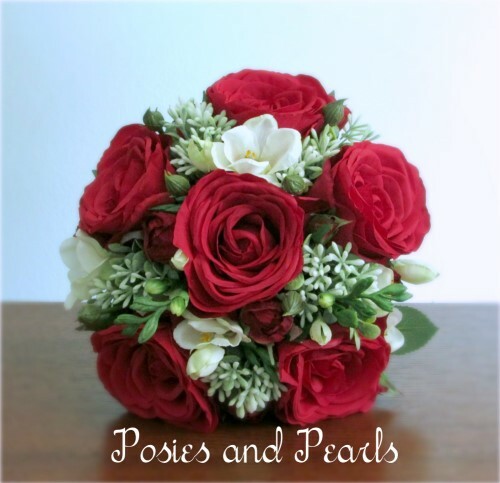 This bouquet features gorgeous, densely petaled red roses, dainty rose buds, elegant white freesia, and clusters of seeded boxwood. 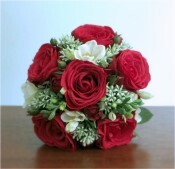 Each bloom has been carefully hand selected and arranged into a round posy. 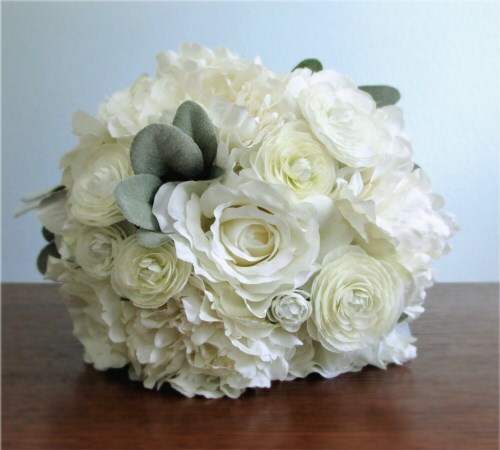 A ring of ruffled variegated leaves surrounds the bouquet like a collar. 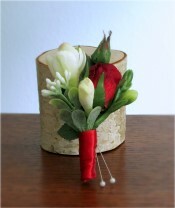 The stems are wrapped with beautiful white lace layered over satin. To add to the fresh cut appeal of this silk flower bouquet, the base of the stems are left exposed. 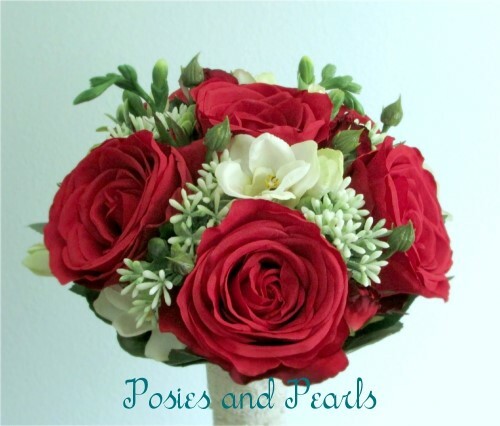 This sweet bouquet would be perfect for winter or summer events, or for a patriotic or military wedding. 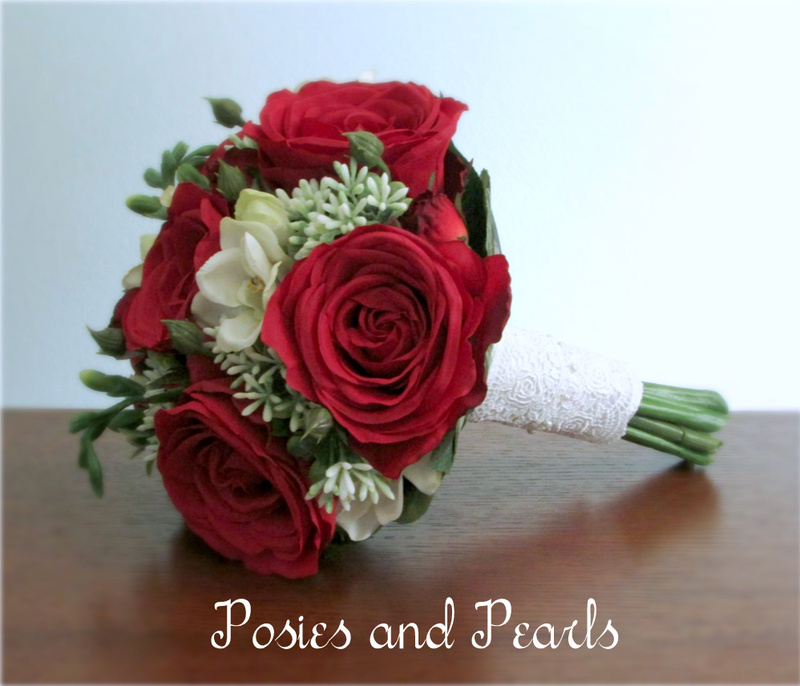 The coordinating boutonniere features a red rose bud accented with white freesia, a touch of greenery, and wrapped with ivory and lime colored satin. CUSTOM ORDERS: This bouquet can be custom ordered with different colored flowers. 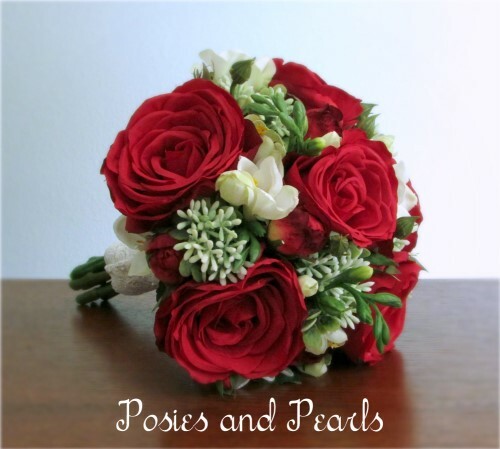 I can also create coordinating pieces for each of your attendants including bridesmaid bouquets, corsages, boutonnieres, centerpieces, jewelry, ring pillows, and flower girl baskets. 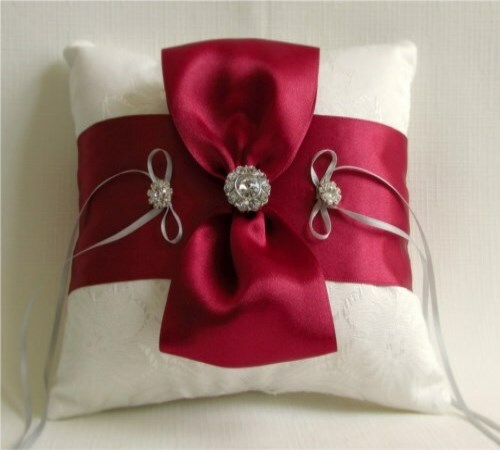 Contact me and I will be glad to assist you.